The system design of vehicle propulsion systems requires a complex analysis of the traction requirements, expressed in terms of stationary conditions, acceleration or deceleration transients and driving cycles for cars or working machines. In system design, multiple architectural solutions of powertrain are examined, comparing benefits, limitations and impacts under different profiles: performance, costs, complexity, maintenance requirements, etc. Pure Power Control has developed a systematic methodology based on a model-based systems engineering approach, which allows to determine for the required application the best propulsion system architecture, the most suitable technology for the components and their optimal sizing. The design is supported by the use of a proprietary design tool, which incorporates the solid and extensive experience gained by the company in the sector. The architectures supported by the design tool include: conventional propulsion systems, based on internal combustion engines, electric propulsion systems and electric or hydrostatic hybrid powertrain. For the former, the design object is the sizing of the internal combustion engine and the gearbox (sequential e.g., CVT, power-split), while for the latter the sizing of the battery pack and electric machines is of interest. 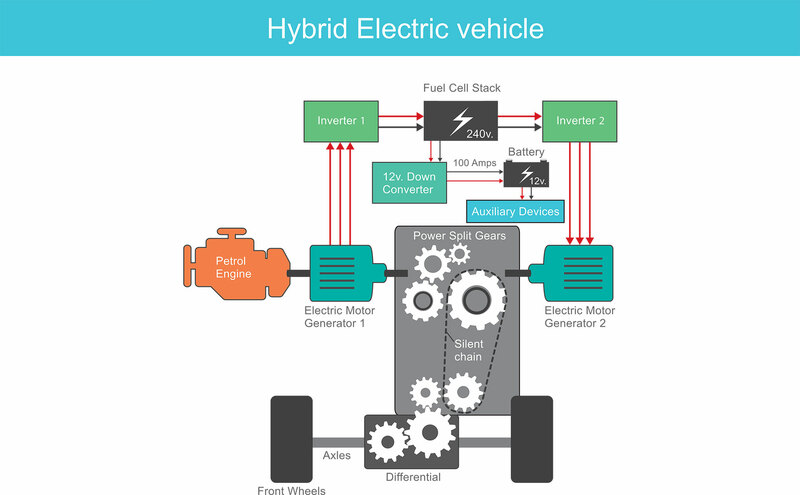 The more complex electric or hydrostatic hybrid systems require a more detailed design process in relation particularly to energy regeneration and optimization of the interaction between the components in order to achieve the goals of reducing consumption and CO2 emissions. In all these cases, the design tool ensures exhaustive comparison and effective optimization of the system design of the propulsion system.